Lace up and get lost in the beauty of the great outdoors in the eastern portion of Ontario&apos;s Southwest. 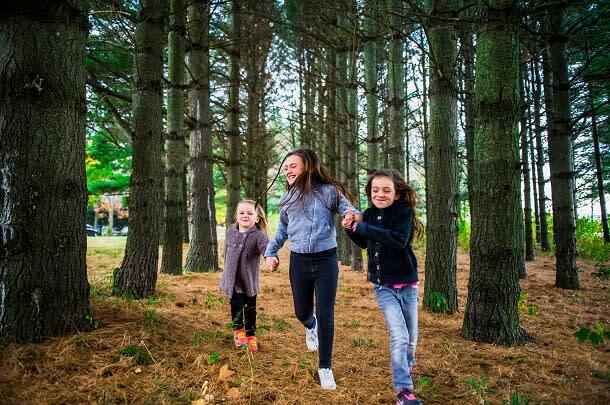 Running alongside the Killman Zoo, the Haldimand Chippewa Trail is likely the only place in Ontario that you might catch a glimpse of a lion or a tiger while going for a walk. 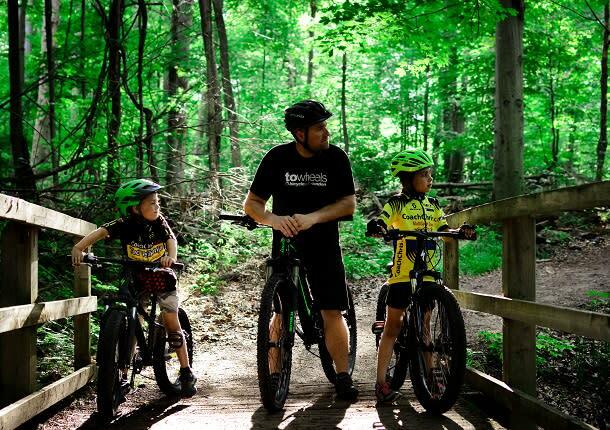 This 6 km on-road and off-road trail links the Chippewa Trail from Hamilton to Caledonia. With flat plains, the trail is perfect for all travellers whether you’re a walker, runner, or a cyclist. Anyone can enjoy the quiet countryside as you pass by farms surrounding the trail. If you’re looking to discover the Grand River, The Rotary Riverside Trail is the perfect place for you! This is another 6 km trail that begins at Seneca Park just outside of Caledonia, which offers a picturesque view while you walk or cycle your way to York. Running directly alongside the Grand River, this trail offers easy access to kayak or canoe. So come and find the perfect fishing spot, discover your new favourite picnic place, or simply take in the fresh air and beautiful views. Also known as “The Lawson Tract”, this 14.71 hectare parcel of land is rich in biodiversity, with over 300 plant species and numerous amphibians, birds, and mammals spotted throughout the trail. The terrain is varied and features several types of vegetative communities including mixed hardwood forests, pine and spruce plantations, some open meadow and treed swamp. With winter bird feeders, nice trails, and activities for families, you’ll never have a dull moment at the Lawson Nature Reserve. Pittock is another year round conservation area where you can enjoy hiking, cyclinc, and so much more. The conservation area is split into two sections that run through the North Shore and the South Shore. You can access the North Shore through the Day Use area, and then travel west where the trail loops below the dam and back, where you can enjoy the area that is mostly comprised of open meadows. The South Shore is composed of pitted path trails that travel under the CPR Railway Bridge and Highway #59; travel through the Pittock Reservoir and Dam to see spectacular Eastern views, or head thorugh the parking lot where you’ll reach Roth Park. 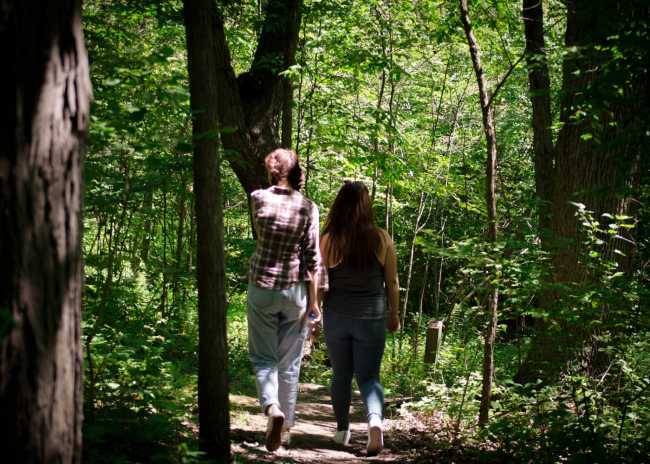 At Springwater Conservation Area, you’ll find three main trails to discover that cover eight kilometers in length. There’s a wide range of outdoor activities for the whole family that include camping, fishing, swimming, picnics, special events, and hiking through the Carolinian Springwater Forest, which features a large pond inside. Visitors to Springwater can get a map showing the trails in Springwater Forest, or look at the interpretive signage throughout, which helps hikers understand and appreciate the unique beauty of the forest. The Fingal Wildlife Management Area was once a military base that was acquired from the Royal Canadian Air Force and then restored to wildlife habitat. With 293 hectares and 27km of scattered trails, this site is very popular with naturalists and outdoor enthusiasts. The landscape consists of natural habitats including forest, deciduous and coniferous plantations, tallgrass prairie, ponds and hedgerow. The purpose of the land is to provide habitats for upland game species, and to provide wildlife-based recreational activities like hunting, hiking, research, environmental education, and nature appreciation. Backus Woods is one of the highest quality old growth hardwood forests in all of Ontario, and the best remaining example of the Carolinian Life Zone, which comprises less than 0.25% of the country’s landmass, but is home to 25% of Canada’s species at risk. Thus, you can find several species at risk in the Backus Woods, including Prothonotary Warblers, Jefferson’s Salamanders, and Woodland Voles. Also, some of the oldest living trees in Ontario are found in Backus Woods, including Black Gums. So head out and trek through maintained walking trails that guide you through numerous different habitats. Turkey Point is the only provincial park with a golf course, which makes it both a naturalist’s and a sport lover’s paradise. Here, you’ll find diverse ecosystems with marshes, bluffs, and oak savanna. The hiking trails throughout the park lead to a fish culture station, a hatchery pond, and panoramic views of Lake Erie. Check out Turkey Point where you can camp on the bluffs, swim and sail at the beach, fish for perch, or play nine holes of golf. Dalewood Conservation Area goes around 25 hectares of Provincially Significant Wetlands. It is an urban conservation area that maintains its wilderness appeal, as it’s located on the “doorstep of St. Thomas.” The area is close to modern conveniences, and contains a 12 km hiking trail for nature lovers, making it the best of both worlds. Visit and experience Dalewood Conservation Area, where you’ll find wonderfully large, treed camp sites; beautiful hiking trails; and nature close to home.